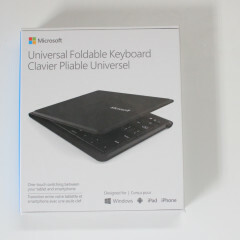 Microsoft has been making keyboards for years; everything from ergonomic desktop keyboards and mice to the new Universal Foldable Keyboard. 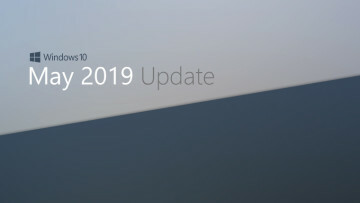 If the name sounds familiar - and it may not, as it is about as generic as they come - the peripheral was announced a few months back but is now available for purchase. 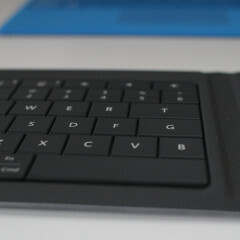 As the name implies, this keyboard is an ultra-mobile design that can be folded in half. 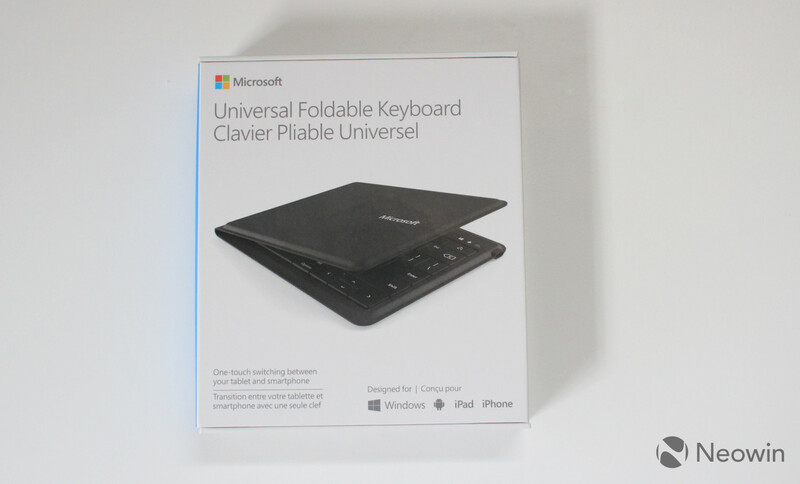 Targeted at the consumer who is constantly on the go and would like the benefit of having a keyboard with them at all times, the keyboard is compact and works with all major smartphone operating systems. The idea for this device makes quite a bit of sense. With smartphones becoming larger and more capable, there is a good chance that you are writing longer emails on your phone and frankly, using them more like a laptop these days than the smartphone of yesterday. 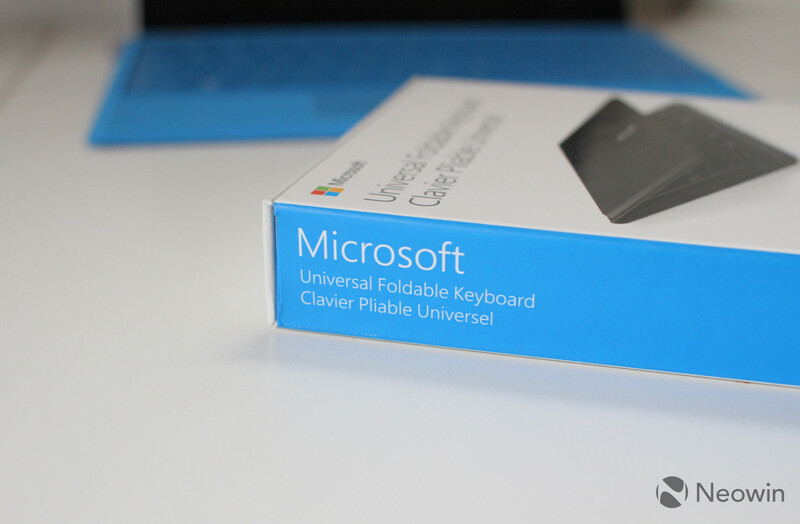 If you find yourself in this category, the Universal Foldable Keyboard (UFK) is a compact peripheral that will allow you to type faster than you can with a touch screen. 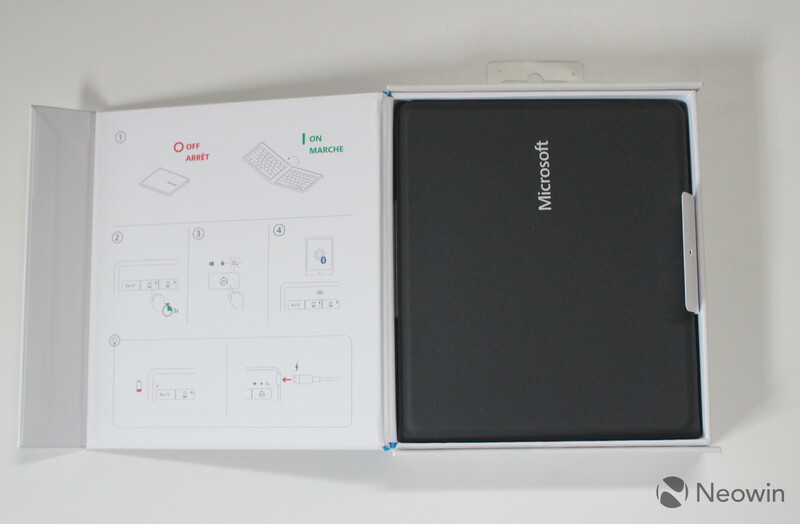 And seeing that it is quite compact, it can easily fit into a purse or laptop bag without taking up much room. 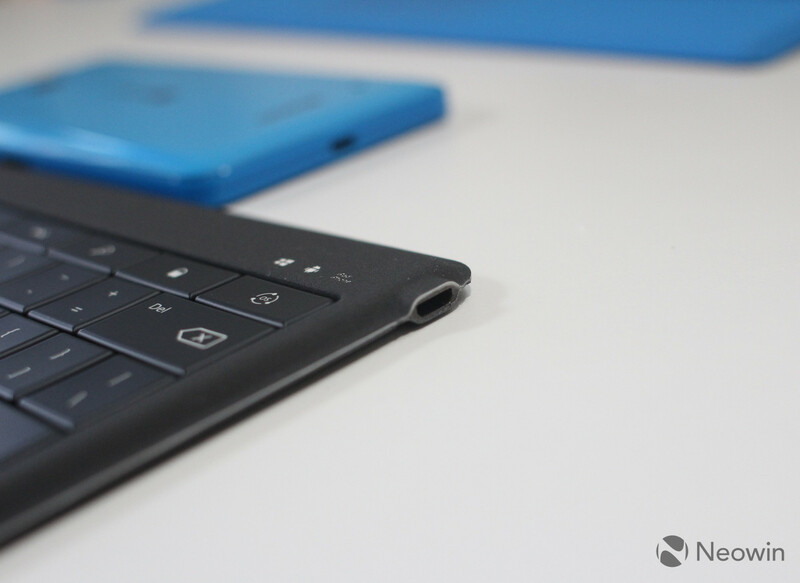 If you have used a Surface Type Cover, the keys and mechanics of this keyboard will feel quite familiar. 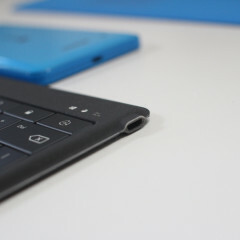 However, it does seem like the UFK does have keys that are a bit stiffer than the Type Cover. 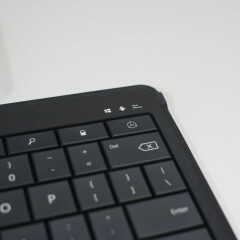 Also the spacebar feels much better on the UFK than the Type Cover, which feels a bit chintzy when pressed, whereas the UFK has a deeper thud to it. 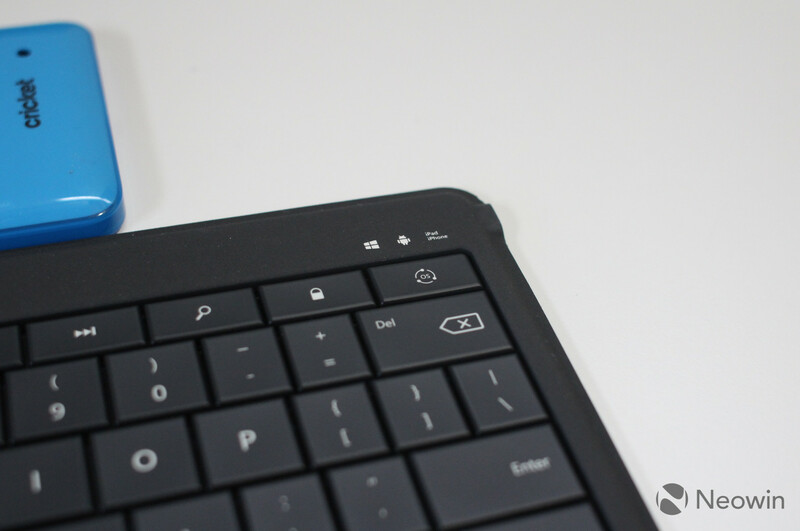 This could be because the UFK is brand new and I have used the Type Cover on the Surface 3 extensively (and worn down the mechanics) too. 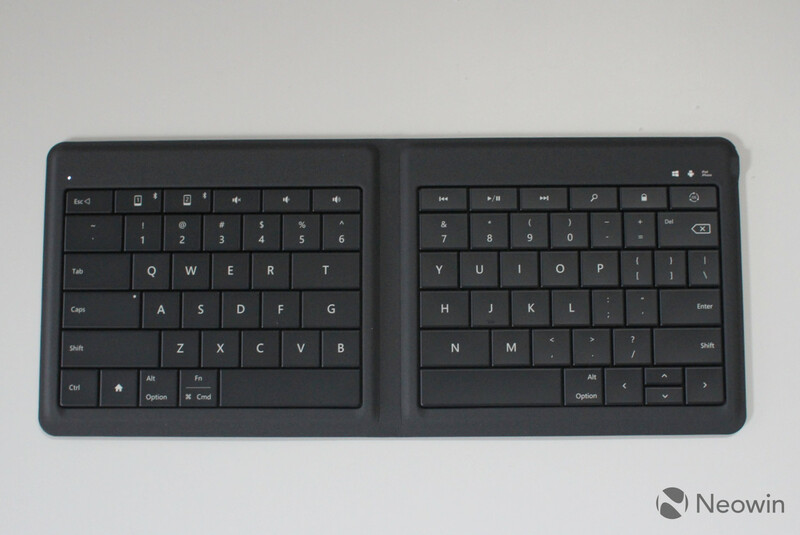 One thing to be aware of this keyboard is that because it can be folded in half, there is a channel in the middle that keeps your hands separated a bit further than the Type Cover or a traditional keyboard. 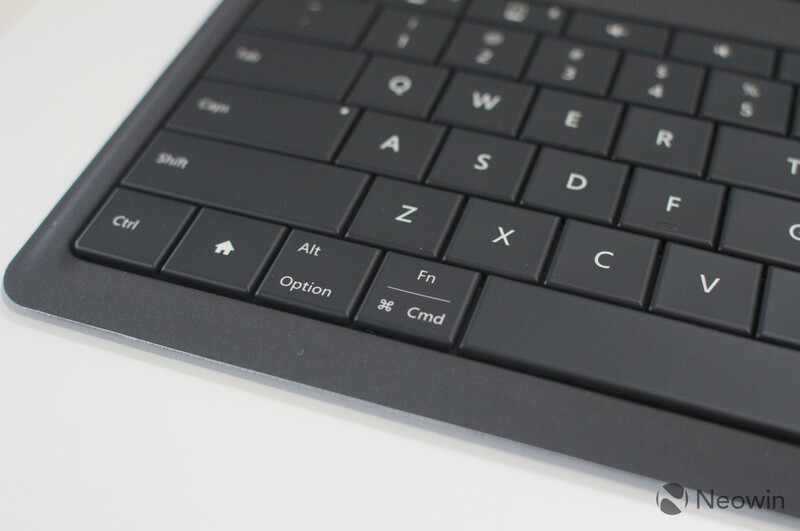 In practice, it feels similar to the experience of adjusting to an ergonomic keyboard; if you have ever gone from a traditional setup to one of Microsoft's ergonomic designs, you will know what I mean. Of course, this keyboard is not ergonomic but it's the best analogy that I can use to help you understand that there is a learning curve when using the peripheral. 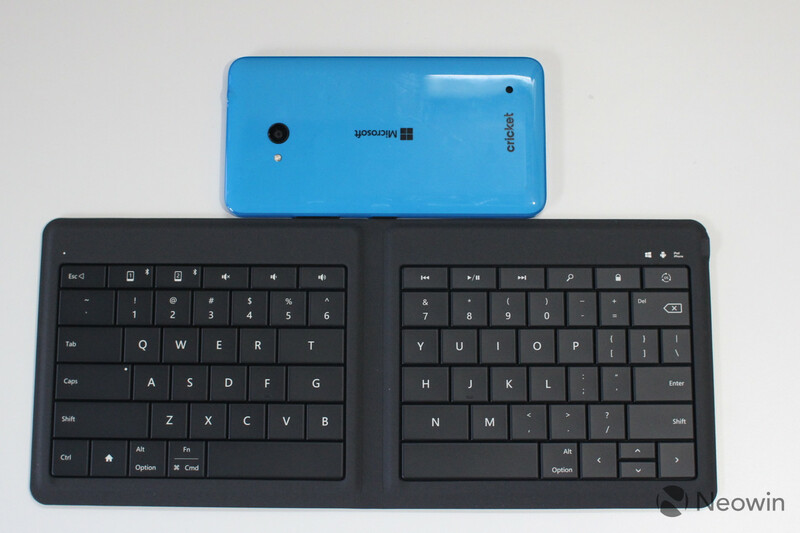 The keyboard is rechargeable via microUSB which will give you three months of battery life, according to Microsoft. Seeing as three months have not elapsed (only two weeks), I can't comment on whether or not the three months is an accurate representation of the battery at this time. 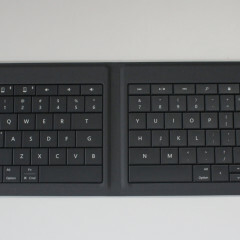 When folded closed, the keyboard sticks together with magnets which helps it stay closed in your bag. 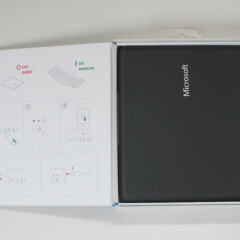 The magnets are quite strong as well, you won't have any issues with it unfolding unexpectedly. 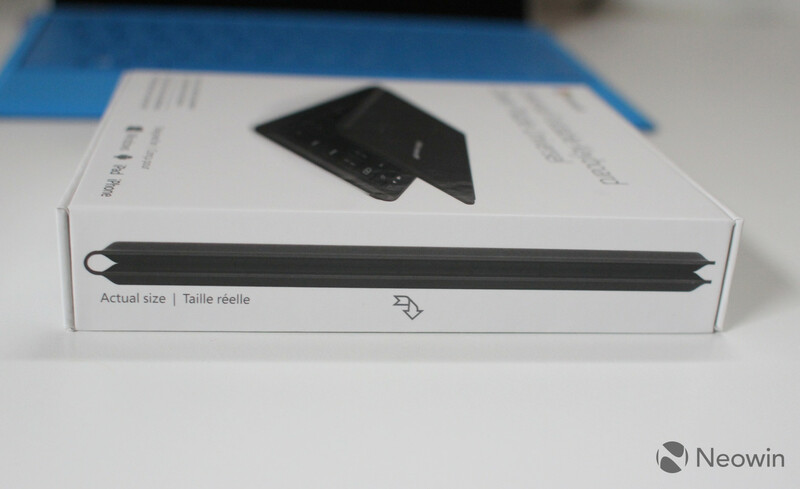 There is also a small light in the top left corner that lets you know the device is on and up above the delete key is a dedicated button that lets you quickly switch between OS layouts. One feature that I really like about this device is that you can quickly switch between paired devices. 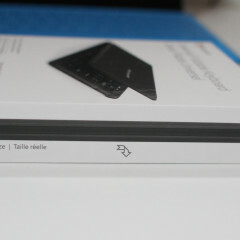 There are two hotkeys at the top which allow you to quickly switch between your phone and your tablet with a press of a button. 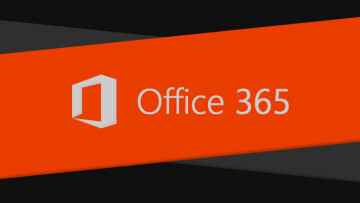 While you may not use this every day, it's a simple addition that helps this peripheral stand out. 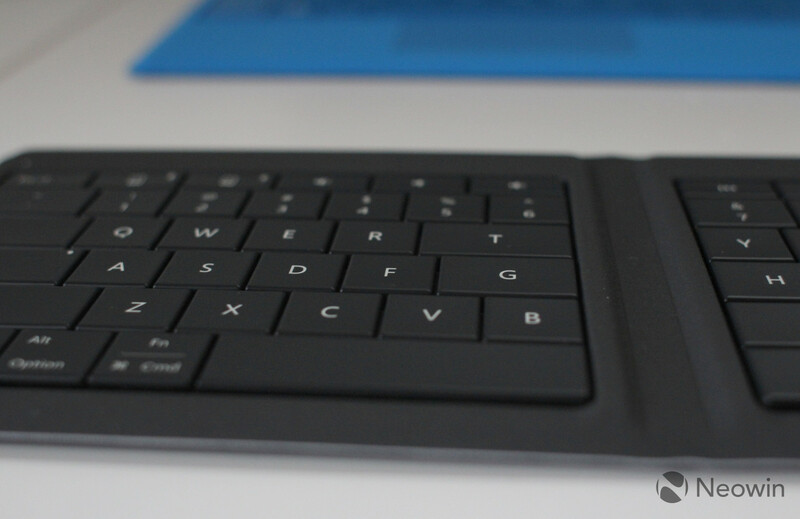 One feature I wish this keyboard had is one that Microsoft incorporates on another one of its mobile peripherals. 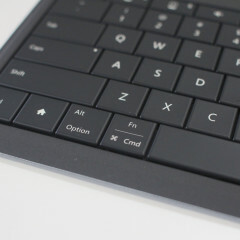 The Universal Keyboard (seriously Microsoft, these names overlap) has a channel at the top of the keyboard that supports a phone or small tablet upright so that you can see the screen easier than the UFK. 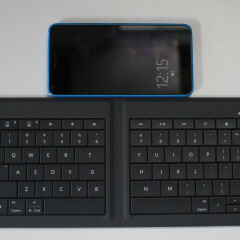 With the UFK, you need to find a way to prop up your device; otherwise it has to lay flat on the table. 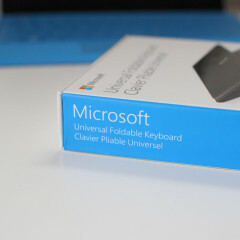 If Microsoft could find a way to integrate a channel like the Universal Keyboard into the UFK, it would dramatically boost the appeal of this keyboard. 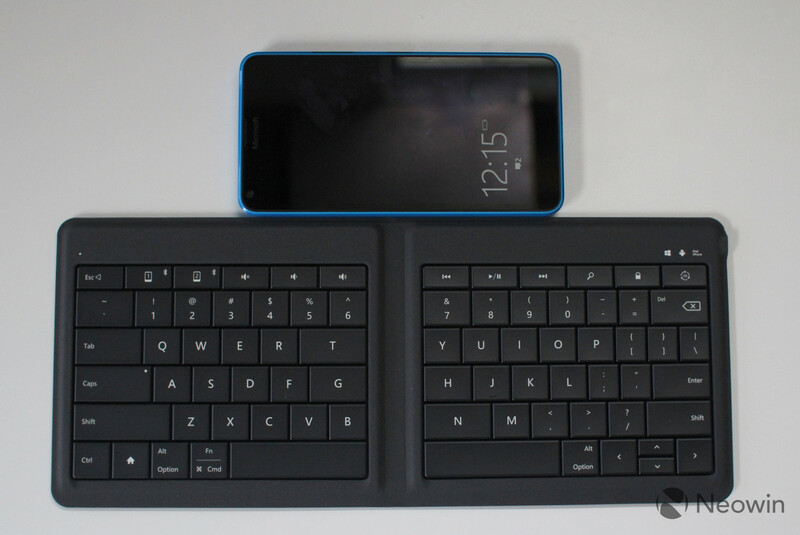 At $100, the UFK is not cheap but is a good mobile keyboard. 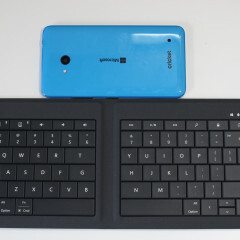 I hesitate to say that this a great mobile keyboard as I do love how compact the design is, but I long for the Universal Keyboard's channel that supports a phone too. 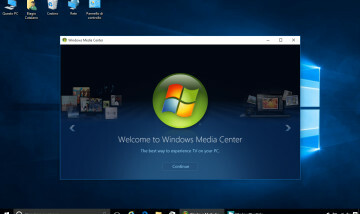 This means you are left with two choices from Microsoft and both require compromises. Do you pick the one that has a smaller footprint or the one that makes it easier to use your phone anywhere? It's a tough choice but you really can't go wrong either way. 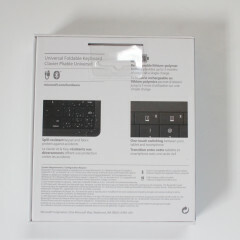 The UFK is built well and should hold up to being tossed around in your bag without much issue. 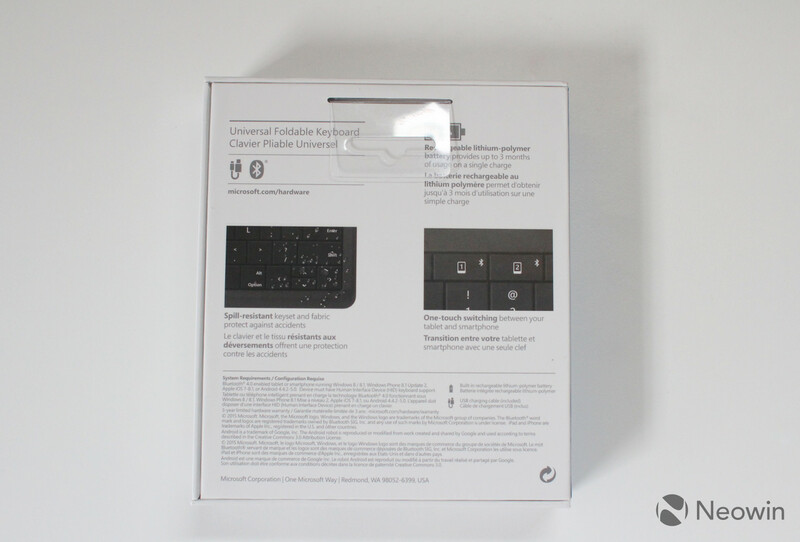 If you are ok with the drawbacks and the price, the UFK is fully capable of fulfilling your needs for a compact keyboard.